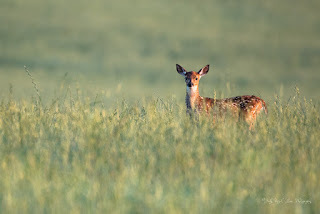 If you have been following my work, you have probably heard me say before that I pray and ask the Lord to show me or to bring to me what He wants me to photograph. This particular day was no different. Recently, I was sitting in a pop-up chair at a farm in Sautee, Georgia photographing hummingbirds when this little yellow wooly bear caterpillar crawls up towards my feet. 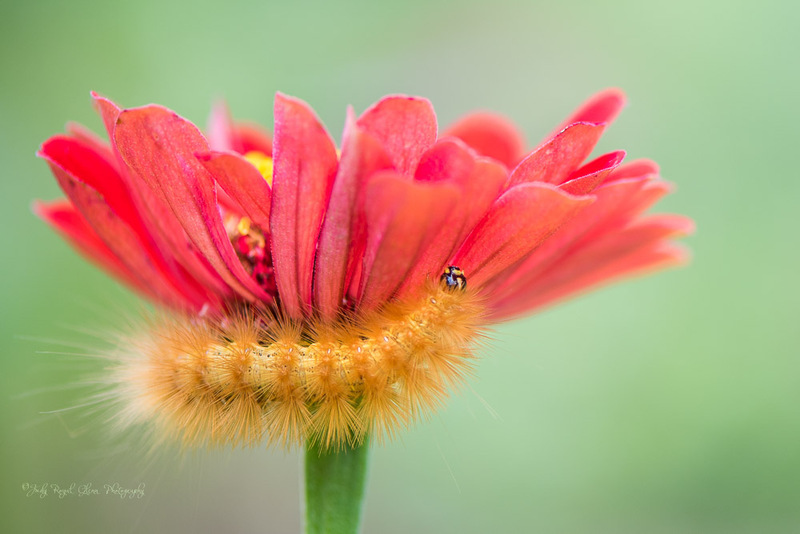 I took advantage of the situation and put the caterpillar on various flowers to photograph him. 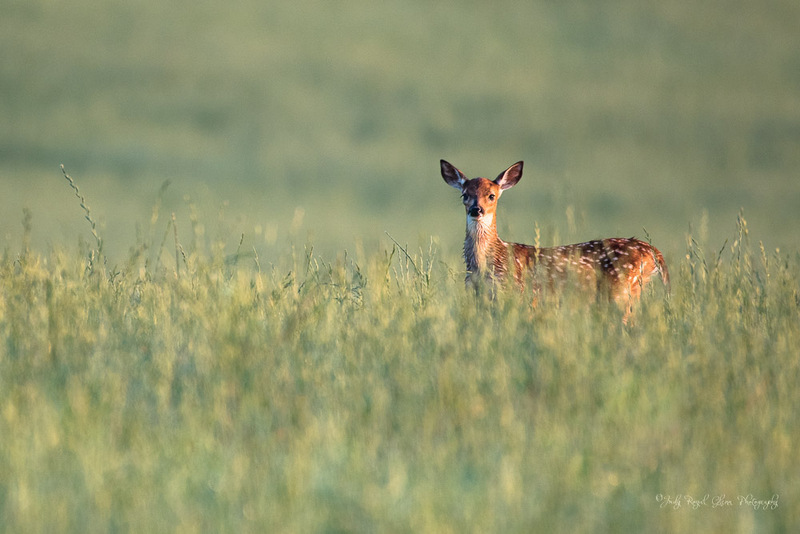 I had fun watching this fawn run at full speed in a large field at Berry College. Every once in a while, he would stop for a quick glance. 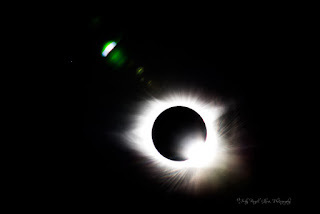 I am still in awe today after viewing the total eclipse. I don't think I will ever look at the sun the same way! This photograph displays the brilliance of the corona. The corona spans millions of miles into space and its temperature is beyond a million degrees Kelvin. To get to see it with your own eyes—wow! 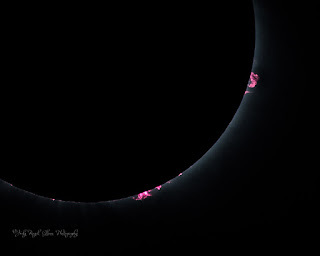 If you missed my other blog posts of the diamond ring and solar flares / solar prominences click here and here. It was quite a pleasant surprise to capture the intricate details of the sun during the totality of the solar eclipse of 2017. I had no idea I would capture these in a photograph. These solar prominences travel hundreds of thousands of miles into space, so earth would just be a tiny grain in comparison. It was an amazing sight to see! If you missed my first solar eclipse post featuring the diamond ring, click here. 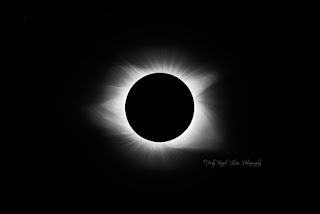 Ponder the thought of what you hopefully got to witness yesterday…..the totality of the solar eclipse. God, the creator of the heavens and the earth, created it all! Not only did He create the heavens and the earth, He created the universe’s order, gravity, the perfectly circular shape of the sun and moon, plants, animals, light and darkness! If you do not know Jesus as your Lord and Savior, I pray that you will do so today. C — Confess and repent of your sins and ask Him to be Lord of your life. Did you notice the star in the top left of the photo?